This may not be acceptable in the financial community, but I do not use Excel. There are two separate, but equally important, reasons for not relying on a spreadsheet when making investment decisions. First, take this picture below. 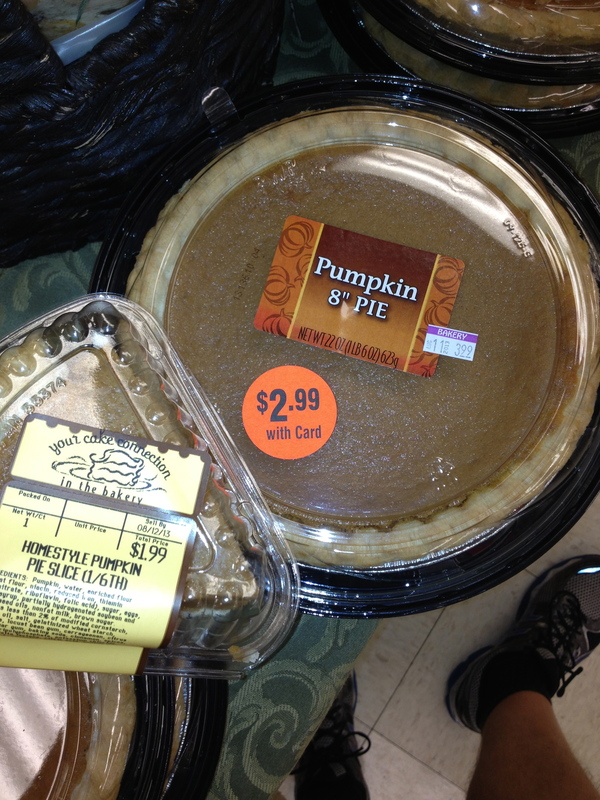 You could buy 1/6th of a pumpkin pie for $1.99 or a whole pie for $2.99. Ignoring the fact that you may want to maintain your diet and therefore buy the smaller piece, anyone could see without consulting a calculator that the larger pie was a better financial proposition. This may be a simplistic explanation for the types of investment that I look for, but it certainly works. Deals like this slap you upside the face. You do not need to calculate the tax rate for three years into the future after considering annual amortization charges (or anything else that I assume those analysts are doing with their spreadsheets). I have a confession. I have viewed, but never read an analyst report. I mainly remember at the end there were a few spreadsheets with tiny print. I wholeheartedly believe that if I had squinted hard and read the numbers, I may have seen a line item for toilet paper expenses. If that sort of precision calculation is required to ensure a solid investment case, it is not a solid investment. Second, I think the mathematical calculations wherein numbers are input and a precise output is received gives an investor a false sense of security in his work. Because math is precise and you are using math in your investment calculations, you drift in your comfort level with the precision of your underlying work. This logic breaks down because of the human side of investing. Markets can be and sometimes are irrational. As investors, that understanding provides us with opportunities to buy and sell. However, the precision of spreadsheets impart a sense of precision and rationality to the market that will cause trouble when the margin for error becomes too slim.